Dr. Drew Ramsey is an assistant clinical professor of Psychiatry at Columbia University in New York and an attending psychiatrist at the New York State Psychiatric Institute. Dr. Ramsey is a diplomate of the American Board of Psychiatry and Neurology. He completed his specialty training in adult psychiatry at Columbia University/New York State Psychiatric Institute, received an M.D. from Indiana University School of Medicine in 2000 and is a Phi Beta Kappa graduate of Earlham College. Ramsey is one of psychiatry’s leading proponents of using dietary change to help balance moods, sharpen brain function and improve mental health. His clinical work focuses on the treatment of depression and anxiety with a combination of psychotherapy, lifestyle modification, and psychopharmacology. His interests lie in using the modern psychological concepts and the latest brain science to help people live their healthiest, happiest lives. Regularly providing expert opinion on psychiatry-related topics to the news media, he hopes to help bridge the gap between academic medicine and the public. 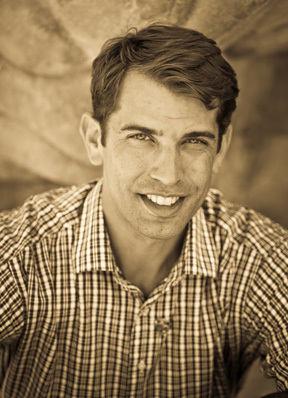 His writing and commentary on brain health and food have appeared in The New York Times, The Huffington Post, The Wall Street Journal, The Atlantic, Men’s Journal, and in addition to his Blog Recipe for Happiness on DrewRamseyMD.com, his blog The Farmacy is featured on Psychology Today. He reports on issues of food and mental health for news outlets such as his Market BrainFood Tour for ABC News, Top Mood Boosting Foods for CBS News, and review of Attention Deficient Hyperactivity Disorder (ADHD) and Diet for CBS New York‘s morning show “On the Couch”. In 2008, he turned his attention to changes in the American food supply and co-authored The Happiness Diet (Rodale 2011) with Tyler Graham. Dr. Ramsey sees patients in his private practice in New York City, where he provides consultations, psychotherapy, and medication management for a variety of mental health, work, and relationship issues. He also consults with individuals and organizations regarding nutrition and brain health.